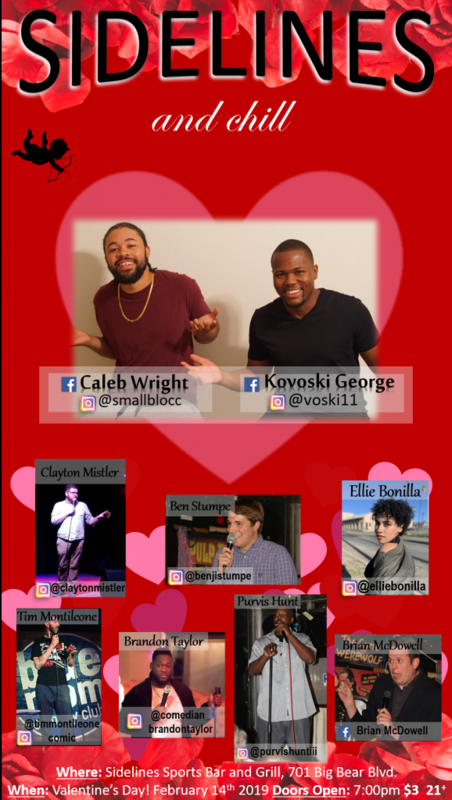 Sidelines Sports Bar presents ‘Sideline Jokes’ on Thursday, February 14th, with Caleb Wright and Kovoski George as hosts. 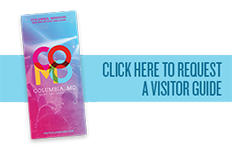 This is a stand up comedy show featuring 9 comics, including hosts, from Columbia, Spring Field and St. Louis, MO. Featured comics are Brian McDowell, Ben Stumpe, Brandon Taylor, Clayton Mistler, Ellie Bonilla, Tim Montileone, and Purvis Hunt III. The door fee is $3.00, and must be 21 years of age or older to attend this show. Food and alcoholic beverages are served at this venue. Come out and have an awesome night. The address is 701 Big Bear Blvd Columbia, MO 65202. See you there.